Every Sunday morning from Labor Day to Memorial Day, church school classes are held at Grove. Classes range from as young as age 4 to Adult, with a dedicated confirmation class for 7th and 8th graders. Children gather for a time of games and songs before joining together in the classrooms. 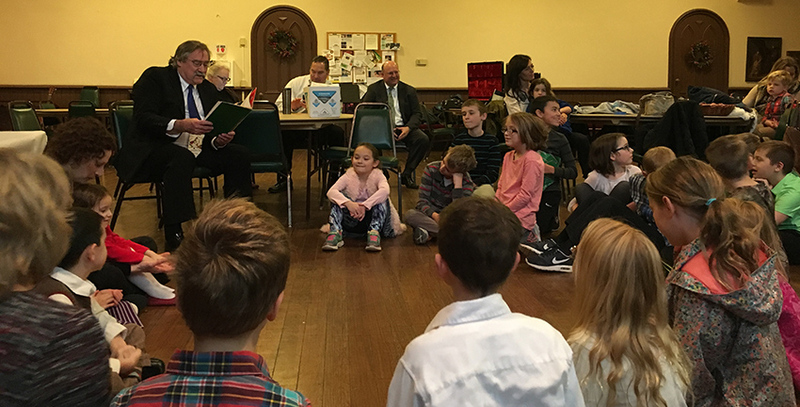 Sunday school classes use the Wired Word curriculum, and engage the children through crafts, stories, and surprises. Come and join us, there is always room for one more. You don’t have to have a Sunday School background, and you don’t have to come every Sunday. Come when you can, and come as you are. God’s love is for everyone and is always here! P.S. There are no age restrictions!